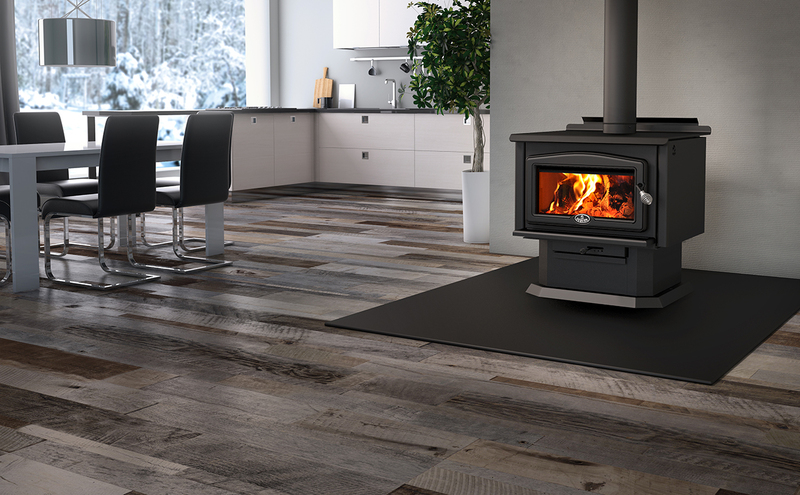 Some of the Osburn 2400's impressive features include a 3.4 cubic foot firebox; a heating capacity of up to 2,700 square feet; 13.5'' of clearance in the firebox, which can accept logs up to 21'' and a burn time of up to 10 hours in slow combustion mode. In addition to its impressive performance, this model is environmentally efficient, with emissions as low as 1.6 g/hour (in medium-high) combustion mode. If you're looking for a large wood stove for your home or weekend cottage, the Osburn 2400 is a perfect choice. 96% of the last 50 homeowners who have registered their warranty are satisfied with this product. Your wood stove is magnificent. We throw in some logs at night and in the morning there are still coals. It is very cost-efficient. I am using less wood and heating more thoroughly. Love the stove and would highly recommend it to others.